There are currently 90,630 users on this website. 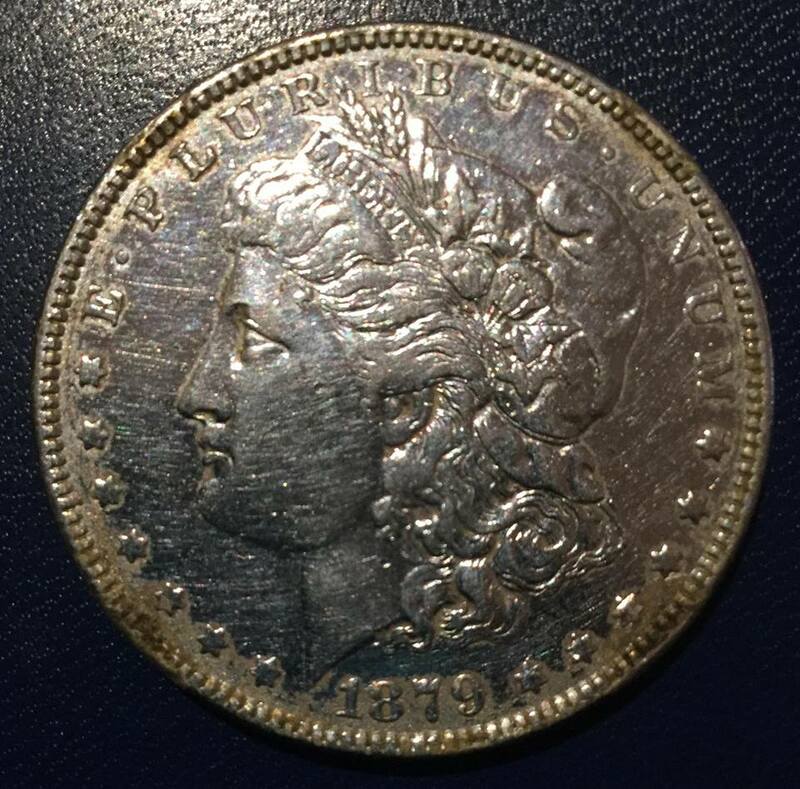 So, I have this very shinny (reflective) 1879 Morgan silver dollar. But, the Reflective coating is gone over the date and some of the stars around the surface. Any thoughts? It may have been plated at some point, and now it is wearing off. Do you have a picture of the whole coin? That might help determine what is going on. It looks like it has been cleaned at some point of its lifetime. Scoured is much closer to the truth. passthepuck - The reverse looks natural, and is what the obverse probably looked like at some point before someone tried to "improve" it. Lower grade than that. Note the breast feathers are missing. Also the coin was altered with plating. Pretty much a melt coin in my estimation. If sent it to be graded it would probably get a genuine coin slab. 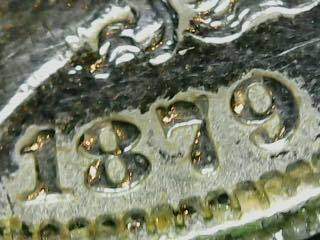 No mention of grading because of the alteration of the coin. Looks like one of those fake Morgans passed in Korea during the war in the early 1950's. 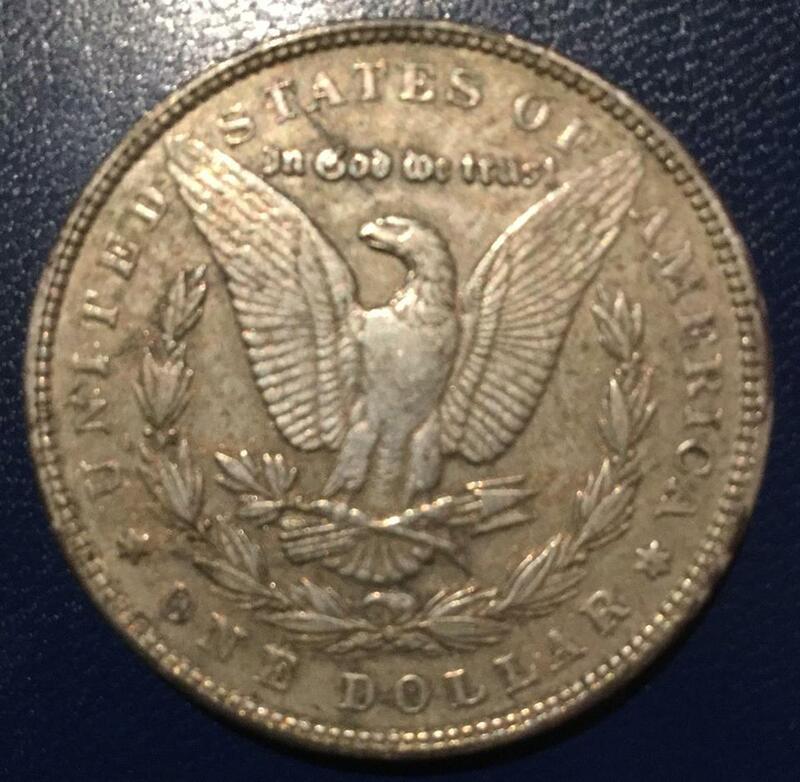 A Morgan dollar is considered a Classic coin, so I moved your post to the appropriate section for the proper attention. It took 2.18 seconds to rattle this change.